Smart things are supposed to make life simpler. 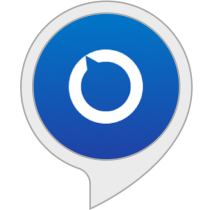 Our Alexa voice skill, like our products, is designed with real humans in mind: it’s easy to understand, quick to setup and fun to use. Simple as that. Once you’ve downloaded our hOmeLabs app, simply login and connect to Wi-Fi. The app will scan your house for all your hOme appliances and then connect automatically, putting your home at your fingertips. Afterwards link with Alexa to use your voice to control all your devices. We understand that starting out with smart appliances can be daunting, or just not your cup of joe. That’s why each of our products are designed for the analogue lifestyle, too. But we encourage giving the app thing a try -- we’re willing to wager you’ll adapt to the ease, convenience and peace of mind quicker than you’d think.